How hot was the HATCHIMALS toy (from our friends at Spin Master) leading up to Christmas this year? Hot enough that it was SOLD OUT everywhere and created an on-line buy and sell frenzy. That is until Shaq (yep – basketball legend Shaquille O’Neal) appeared on TMZ telling kids and parents alike that he knew where to find the hottest toy of the season. 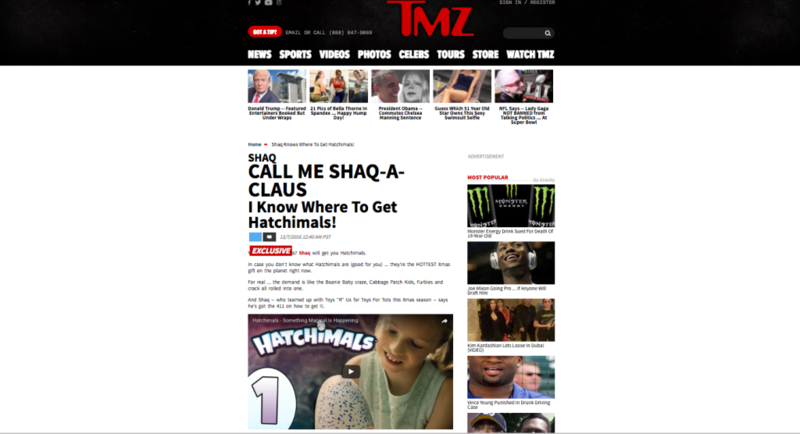 TMZ also directed viewers to one of the two commercials that Mark Mowad directed and we produced for HATCHIMALS this fall. Thanks for the love Shaq! Well over a million views for both of the commercials so far!! !